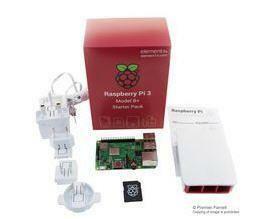 Choose the Raspberry Pi Kit that is right for you! 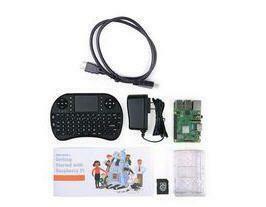 The complete starter kit is the perfect pack for getting started with the Raspberry Pi. The new Raspberry Pi 3 Model B+ Starter Pack contains all the official Raspberry Pi products you need to get started quickly and easily. Featuring the new Raspberry Pi 3 Model B+, this is the latest product in the Raspberry Pi range, boasting a 64-Bit quad core processor running at 1.4 GHz, dual band 2.4 GHz / 5.0GHz wireless, Bluetooth 4.2 (BLE), faster Ethernet and PoE capability via a separate PoE HAT. Stream and organize audio, videos, movies and other digital content from the media center you’ll build with the media center kit. Using LibreELEC and running KODI (an award-winning open source media player for the Pi), you’ll get a polished, easy to use interface with tons of community support. With a tiny form factor, the Pi is the perfect solution to achieve a nearly invisible media center solution at a fraction of the price of alternatives. The included full-featured wireless keyboard completes the package. Relive the joys of playing vintage video games with the Retro Gaming kit! 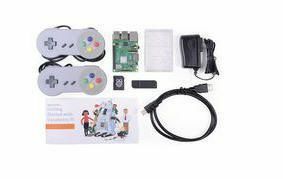 The included Raspberry Pi computer, Lakka gaming emulator, and controllers makes it easy to get started. Hook it up to a TV or monitor, then import your ROMs for hours of fun. The Physical Computing Kit can interact with the physical world by way of its GPIO pins. This kit provides the components needed to measure light levels, accept switch inputs, and power lights. Using the included breakout board, jumper wires, and breadboard, interfacing with your Pi's GPIO pins is easier than ever. Let your imagination run wild!